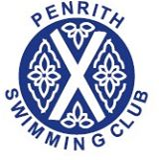 FOURTEEN members of Penrith Swimming Club travelled to Blackpool to attend the Garstang Gators Swimming Club gala. As this gala took place on a Saturday evening, most swimmers took the opportunity to spend some time in Blackpool prior to the races. The competitors took part in a “sprint gala” which consisted of five events per age group comprising the 50 metre backstroke, breaststroke, butterfly and freestyle, and the 100 metre individual medley. Medals were awarded for first, second and third places, with ribands awarded to those placed fourth, fifth and sixth. Any swimmer who swam faster than the upper limit time for a particular event was awarded the much coveted “speeding ticket”. Penrith representatives performed very well and came home sporting more than 25 medals and ribands and even a few “speeding tickets”. The swimmers were Joel Parkinson, Sean Fleming, James Streatfield, Luke Brown, Evie Fleming, Rebecca Titterington, George Guthrie, Emily Guthrie, Maia Johl, Niamh Brenan, Saskia Todd, Kes Fountain, Sol Johl and Abbie Brown.